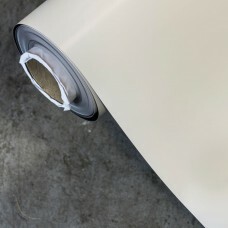 Magnetic -White Vinyl 1020mm wide 0.5mm total thickness Matt finish (This is probably going to.. 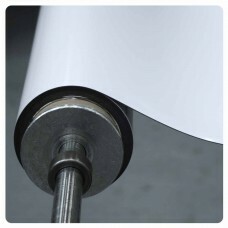 Magnetic - White PET 1520mm wide 0.3mm total thickness Matt finish Available in matt whit..
Adhesive Backed Magnetic 1250mm wide x 0.75mm thick Plain material with a release paper cove..
Adhesive Backed Magnetic material 620mm wide x 0.75mm thick Plain material with a release paper c.. 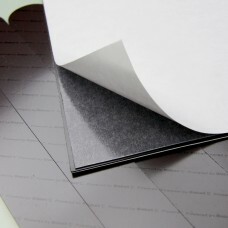 Magnetic Adhesive Backed 0.75mm thick 5 A4 sheets Plain material with a release paper cover..
Adhesive Backed Magnetic Material 1000mm wide x 0.25mm thick - 30m rolls Plain magnetic material .. 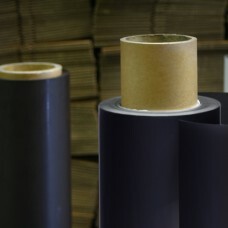 Plain magnetic material is brown on both sides but the magnetic side has a UV coating, which makes i..